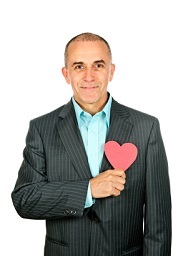 How do you cultivate a coach’s heart for people? The place in our own experience that most exemplifies the heart of a coach is our relationship with God. Powerful coaching comes from studying, internalizing and imitating the Father’s heart toward us. God gave you something you didn’t deserve (life in place of death) simply as an expression of His own character. He is grace, and he is mercy, and therefore he chose to act toward you out of His own heart instead of out of what you had coming. But there’s a second reason: God made you for something. Even when your life was a mess, God never lost sight of your destiny—the good works He had created you for. God’s perception wasn’t limited to your obvious problems. He looked at what you were made to be, and seeing that He loved you—enough to choose you to become part of the bride for His only son. In our relationship to God we see the best example of coaching: believing in others despite their flaws and failures, and helping them find their purpose and place in life. Tony Stoltzfus is an author, leadership coach, master coach trainer and director of the Leadership Metaformation Institute. Additional information on this topic can be found in Tony’s book, Leadership Coaching.